." This week&apos;s winner is "Red Board 2" submitted by David Schultz. 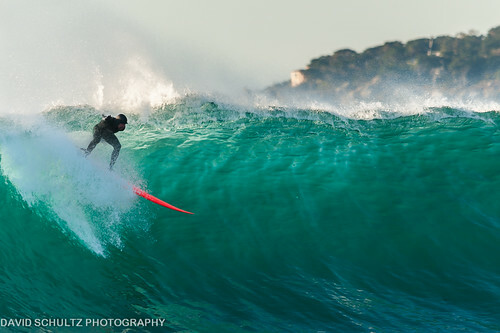 Santa Cruz isn&apos;t the only surf haven on the central coast. Monterey County is home to several surfing spots from Moss Landing to Big Sur. This particular13-15 foot wave was ridden at Carmel Beach. Do you have an amazing shot of Monterey County that you think is worthy of "Flickr Photo of the Week?" Submit your photo to our Flickr Group and you just might get picked!